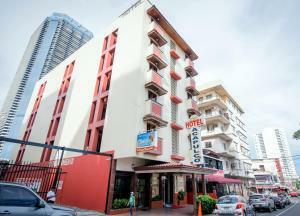 ﻿ Best Price on Hotel Acapulco in Panama City + Reviews! 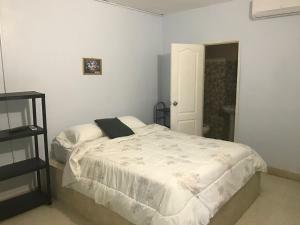 Offering free WiFi in all areas and a restaurant, Hotel Acapulco is located in Panama City, just 984 feet from Lotería Metro Station and 1969 feet from Balboa Seafront Boulevard. 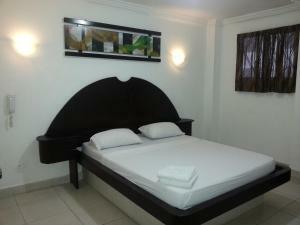 Each room features functional design, air conditioning and cable TV. Extras include a desk and the bathroom comes with shower and hot water. At Hotel Acapulco you will find a 24-hour front desk and a bar. Other facilities offered at the property include a tour desk. The property offers free parking. The hotel is 0.9 mi from Canal Museum of Panama, 0.9 mi from Presidential Palace and 1.9 mi from Metropolitan National Park. Tocumen International Airport is 16 mi away.